How will talking about my problems to you change anything? A lot more goes on in analysis and psychotherapy than 'talking about' problems. The analyst is trained to develop a relationship with the patient that enables the suffering underlying the patient's disturbance to be thought about, emotionally understood, and come to terms with, and this relationship is the medium for healing. Psychoanalytic psychotherapy is a way of treating psychological disturbances as they present themselves in the 'here and now' of the relationship between patient and therapist. 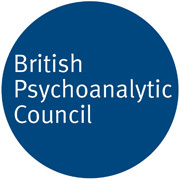 The British Psychoanalytic Council website provides information about the nature of psychoanalytic psychotherapy in general. Anxieties, defences, compulsions, and the suffering that underpins them, inevitably emerge into the relationship with the therapist, and become available to understanding. Understanding enables integration of aspects of the self that are hidden from awareness because they are felt to be shameful or otherwise 'bad'. Analysis is a particular form of psychotherapy that usually refers to a relationship of sufficient depth and intensity to enable regression to the deepest levels of the psyche to take place. It usually involves a long term commitment by both patient and analyst to sessions at a frequency of 3 to 5 times per week. Please look at the websites of the British Psychoanalytic Council where psychoanalysis in general is explained, and the Society of Analytical Psychology, where Jungian psychoanalysis in particular is explained. There are different schools of psychotherapy and analysis. Please look at the Society of Analytical Psychology website for further information about the particular nature of Jungian analysis and psychotherapy, and about the nature of the training that I have undertaken. My own view of what is particular to Jungian psychology is that it takes account of a spiritual dimension of the psyche. That doesn't matter. Analysis is not an intellectual activity. It does take courage to be honest with yourself and with your analyst, and a fair bit of motivation to commit to and stay with the process. Analysis is for people who are unable to move on, and whose efforts to put their experiences out of their minds have failed, or caused more problems. If you have found a satisfactory understanding of your difficulties, and if you can move on, it makes no sense for you to seek therapy with an analyst. Analysis is about meeting the unkown, and unknowable, dimensions of what is going on in the here and now of the relationship in the consulting room, and learning from this experience. I know my parents did their best for me. I don’t want to blame them for my problems. Blaming – whether this takes the form of self blame or of blaming others, is usually a sign that something painful and distressing has not been sufficiently understood, and come to terms with. The traumas that can emerge in psychotherapy and analysis may have occurred generations back, and understanding this can be helpful to patients struggling with the consequences in the here and now. Sessions last for 50 minutes during which you are asked to try to say whatever comes to your mind, without editing or interference, however 'socially unacceptable', including your feelings and fantasies about the analyst. You may sit on a chair, where you can see the analyst, or lie on a couch next to the analyst, in order to feel able to speak freely. You may bring drawings, and other objects of significance, into sessions. You can expect your analyst to behave in ways that are not usual in social situations, for example by discouraging physical contact, by sometimes not answering questions directly, and by refraining from offering sympathy and reassurance. This is because she is attending to unconscious communications as well as those that are more conscious. I never have dreams. Does that matter? Part of the work of analysis is helping the patient to learn the language of their personal unconscious, as it is revealed in dreams and other material. Dreams can help the work, but are not essential. What matters is that you try to report,as faithfully as possible, what you are experiencing in the here and now of the session, whatever that may be. Session fees are reviewed annually in March, and any changes announced in time for changes on 1 May. My usual fee for 2017/18 is £58 per session. The decision about what therapy, or therapist, will best 'fit' your needs and your circumstances needs to be made with great care. My work begins with an assessment which will establish whether my services are appropriate for you at this point in time, or not. This could take one or more sessions. An understanding of your circumstances and difficulties will emerge, and together we will think about the best way forward for you. There is no requirement that you trust your analyst, who is trained to work with people who are profoundly mistrustful. The more you can share your fears and worries about the process, the more the analyst can help you to think about them. The fact that your analyst is bound by strict codes of ethics that prohibit all forms of exploitation and abuse of patients can inspire confidence in the process. What if I can't come to a session, if I am ill, or on holiday? When arrangements for the work are agreed, these include fixed times for your sessions. This space is then yours until the arrangements change, and has to be paid for whether you attend or not, regardless of circumstances. You do not pay when I am away, and I notify you of my absences as far in advance as possible to enable you to take account of these when making your own plans. I see people at frequencies of 1 to 5 times weekly. The arrangements for each person's therapy are made on an individual basis, and can adapt as the work progresses, and as the life circumstances of the patient change. Frequent sessions enable the analytic work to become a process that continues throughout the week because the patient can experience the analyst as ‘being there’ for him or her in an ongoing and dependable way. This security allows deep feelings, unconscious material, and problematic patterns of relating to emerge and to be attended to in ways that are not possible when the patient is ‘left alone with it all’ for 6 days out of 7. Many patients come to therapy wanting to feel better, and this can be part of the problem. The work aims to help the patient to be more whole, to be more fully him-or her-self, to know his or her own mind, and to feel empowered to make changes that he or she wants in his or her life. This is not necessarily pleasurable or enjoyable, although it is usually profoundly satisfying. The process of healing can be disturbing and upsetting at times, and it is important to be aware of this. How does this kind of therapy end? People often fear that this work can be endless, and it can take years for the fundamental changes that are possible in analytic work to become established in the patient's mind. When the presence of the analyst is no longer needed to help the patient to maintain the work of the therapy, it is usually apparent to both analyst and patient that it is time for the work to end, and a date for ending is agreed, and worked toward.